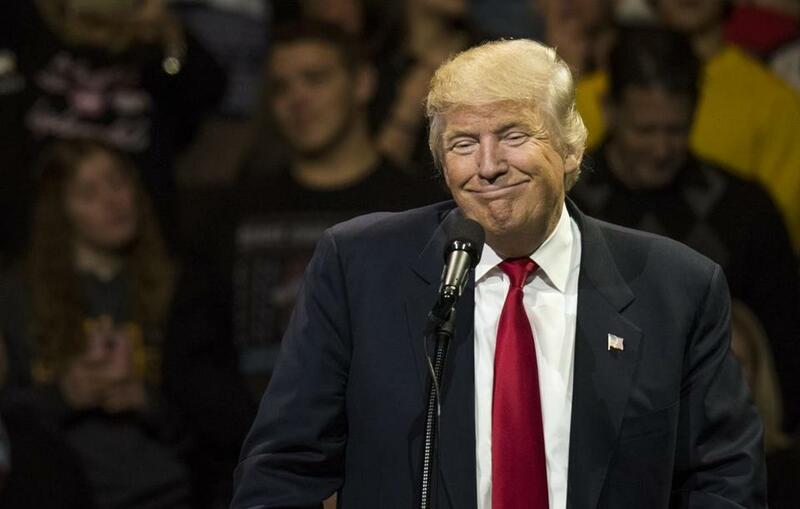 WASHINGTON — President-elect Donald Trump spoke by telephone with Taiwan’s president on Friday, a striking break with nearly four decades of diplomatic practice that could precipitate a major rift with China even before Trump takes office. 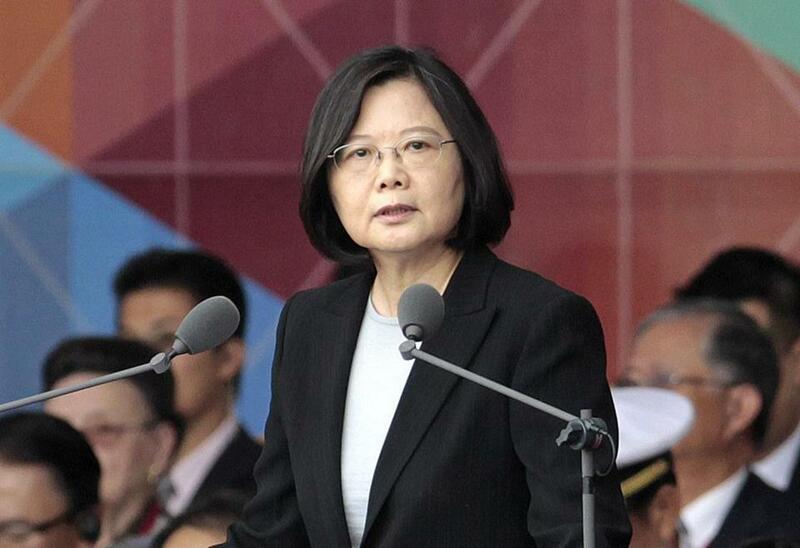 Trump’s office said he spoke with the Taiwanese president, Tsai Ing-wen, “who offered her congratulations.” He is believed to be the first president or president-elect who has spoken to a Taiwanese leader since at least 1979, when the United States severed diplomatic ties with Taiwan as part of its recognition of the People’s Republic of China. President-elect Donald Trump has once again ignited controversy. All it took was a phone call. Trump has shown little heed for the nuances of international diplomacy, holding a series of unscripted phone calls to foreign leaders that have roiled sensitive relationships with Britain, India and Pakistan. On Thursday, the White House urged Trump to use experts from the State Department to prepare him for these exchanges. The White House was not told about Trump’s call until after it happened, according to a senior administration official. But afterward, the Chinese government contacted the White House to discuss the matter. On Saturday, the Chinese Foreign Ministry said, “China firmly opposes any official interaction of military contact between the US and Taiwan,” according to the state-controlled People’s Daily. The longer-term fallout from the Trump-Tsai conversation could be significant, the administration official said, noting that the Chinese government issued a bitter protest after the U.S. sold weapons to Taiwan as part of a well-established arms agreement grudgingly accepted by Beijing. Trump’s call with Tsai is a bigger provocation. Beijing views Taiwan as a breakaway province and has adamantly opposed the attempts of any country to carry on official relations with it. 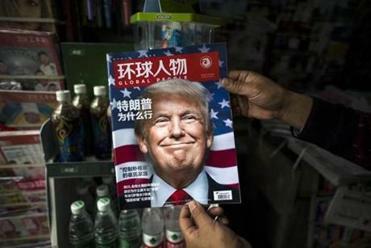 Official state-run media have portrayed Trump in a positive light, casting him as a businessman China could get along with. He was favored among Chinese commentators during the election over Hillary Clinton, who was perceived as being too hard on China. Trump’s exchange touched “the most sensitive spot” for China’s foreign policy, Shi said. The government, he said, would most likely interpret it as encouraging Tsai, the leader of the party that favors independence from the mainland, to continue to resist pressure from Beijing. These arrangements are the outgrowth of the “One China” policy that has governed relations between the United States and China since President Richard M. Nixon’s historic meeting with Mao Zedong in Beijing in 1972. In 1978, President Jimmy Carter formally recognized Beijing as the sole government of China, abrogating its ties with Taipei a year later. A spokeswoman for the Trump Organization, Amanda Miller, said the company had “no plans for expansion into Taiwan,” and that there had been no “authorized visits” to the country to push a Trump development project. But Miller did not dispute that Anne-Marie Donoghue, a sales manager overseeing Asia for Trump Hotels, had visited Taiwan in October, a trip that Donoghue recorded on her Facebook page. “I’m in Taipei now,” Donoghue wrote, continuing in a separate message, “Work trip but it has been so fun!! !” Donoghue did not respond to requests for comment. Trump’s call with the Taiwanese president came just as President Barack Obama delivered a more subtle, but also aggressive, rebuff of China: He blocked, by executive order, an effort by Chinese investors to buy a semiconductor production firm called Aixtron. Obama took the action on national security grounds, after an intelligence review concluded that the technology could be used for “military applications” and help provide an “overall technical body of knowledge and experience” to the Chinese. The decision is likely to accelerate tension with Beijing, as Chinese authorities make it extraordinarily difficult for U.S. technology companies, including Google and Facebook, to gain access to the Chinese market, and Washington seeks to slow China’s acquisition of critical technology. Trump has made little effort to avoid antagonizing China. He has characterized climate change as a “Chinese hoax,” designed to undermine the U.S. economy. He has said that China’s manipulation of its currency deepened a trade deficit with the United States. And he has threatened to impose a 45 percent tariff on Chinese goods, a proposal that critics said would set off a trade war. By happenstance, just hours before Trump’s conversation with Tsai, Henry A. Kissinger, the former secretary of state who designed the “One China” policy, was in Beijing meeting with Xi. It was unclear if Kissinger, 93, was carrying any message from Trump, with whom he met again recently in his role as the Republican Party’s foreign policy sage. “The presidential election has taken place in the United States and we are now in the key moment. We, on the Chinese side, are watching the situation very closely. Now it is in the transition period,” Xi told Kissinger in front of a group of reporters. A small, hard line faction of Republicans has periodically urged a more confrontational approach to Beijing, and many of President George W. Bush’s advisers were pressing such an approach in the first months of his presidency in 2001. But the attacks of Sept. 11 defused that move, and Iraq became the No. 1 enemy. After that, Bush needed China — for North Korea diplomacy, counterterrorism and as an economic partner — and any movement toward confrontation was quashed. Trump has shown little concern about ruffling feathers in his exchanges with leaders. He also spoke Friday with the Philippine president, Rodrigo Duterte, who has called Obama a “son of a whore” and been accused of ordering the extrajudicial killings of thousands of suspected drug dealers. Earlier this week, Trump appeared to accept an invitation from Prime Minister Nawaz Sharif to visit Pakistan, a country that Obama has steered clear of, largely over tensions between Washington and Islamabad over counterterrorism policy and nuclear proliferation. Lawmakers expressed alarm at the implications of Trump’s freewheeling approach. “What has happened in the last 48 hours is not a shift. These are major pivots in foreign policy w/out any plan. That’s how wars start,” Sen. Christopher S. Murphy, D-Conn., said Friday on Twitter.